For the months and months of rigorous prep, the four-something hours of prom night will absolutely fly. And like any event with lots of buildup, the pressure to have an awesome time is real. Aside from the obvious staying off social media and savoring each moment, how to keep track of a night that’s such a whirlwind? Taking lots of photos is already an unwritten rule, but why not have a bit more fun with it? No matter where prom takes you, be sure these 5 types of pictures are on your camera roll. Instagram uploads optional. Prom Do or Don’t? Let’s Discuss! On prom night there’s very few (if any) specific guidelines. It’s mostly common knowledge that comes into play; find a date, dress, mode of transportation, and you’re set. But there’s always extra tips and tidbits to help make the process as smooth as possible. Keep reading for our own unwritten rules to having the best prom night ever. February 16, 2017 by Camille La Vie | Comments Off on Prom Do or Don’t? Let’s Discuss! Who doesn’t love a sneak peek? 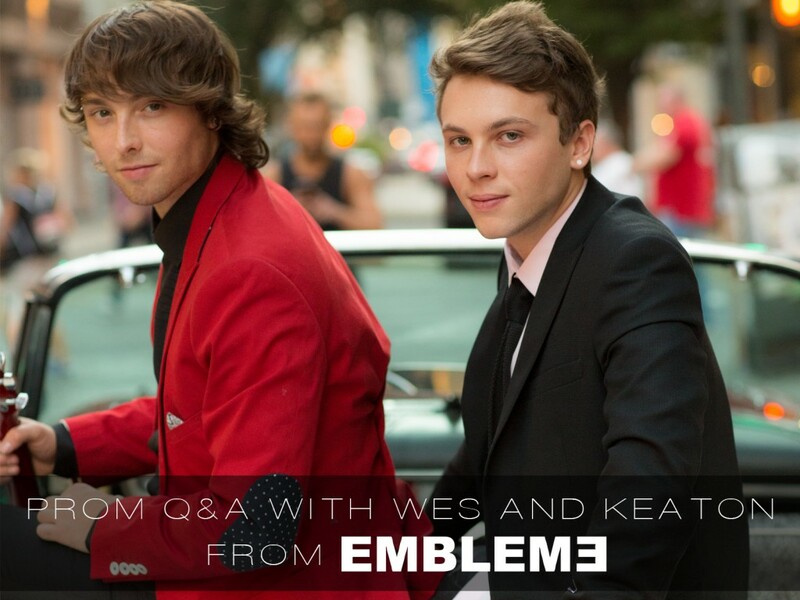 In our J14 spring prom ads featuring Emblem 3’s Wes and Keaton Stromberg, we got the guys to dish their prom preferences when it comes to music, fashion, dates, and more. Read on to see what they said, and scoop up the March and May issues of J14 to see the rest of their answers! Lovey James Goes To Prom With CLV Pt. 2! April 25, 2016 by Camille La Vie | Comments Off on Lovey James Goes To Prom With CLV Pt. 2! « Lovey James Goes to Prom with CLV!